The Warmflow System Kit consists of a pre-assembled expansion vessel, pressure gauge and filling loop. A pressure hose for connection to the system is also supplied. The System Kit can be connected in only a few minutes creating a sealed heating system. Models up to 120HE are supplied with System Kit SK1 having a capacity of 12 litres suitable for a maximum total system volume of 145 litres. Refer to BS7074 and the Boiler Manual for further guidance on expansion vessel sizing. 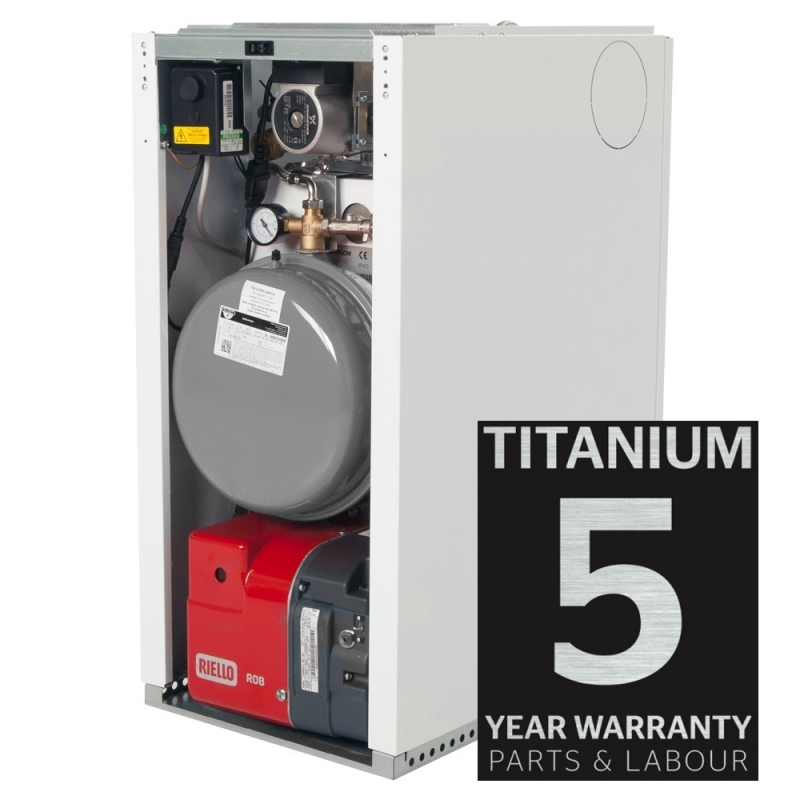 The Warmflow Utility Standard Boilers (UHE) are supplied with a pre-wired, factory-fitted burner and thermostat. Only one IE320 mains socket (supplied) needs to be wired on site. The multi-optional flue system can be routed through the top, back, left or right hand side of the casing.